Hello all! Welcome to the 8th edition of VOTE YOUR RUNNING AUTHOR OF THE WEEK!!! Readers of the post will vote which is the Running Author of the week, who will be awarded with the part of the earnings of the same report. The main criteria we use in order to nominate the candidates is the Quality and Originality of the Post, but nevertheless we will try to choose also posts done by Approved Runners which visibility is low due to, either, they are newcomers to the STEEM ecosystem and to the @runningproject initiative or, also authors that have not been nominated before. The ''Running Authors'' will be awarded with a portion of the 50% of the SBD earned on this post approximately after one week of its publication, so all of them will be rewarded but just one will be the ''Author of the week''. ''Consolation Prize'': 30% divided among the other authors. A dedicated post will be published by @runningproject announcing the winner on following Saturday.
) Run.vince.run is already at letter V in his series of blogs Running ABC's. We believe he put a lot of effort, brought a lot of added value about different aspects of running to the @runningproject community (and wider). Thank you, much appreciated! 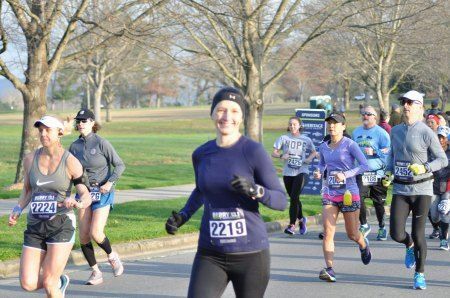 Vivid and interesting recap of a race Berry Half Marathon. First of all: congrats on finishing your half marathon. 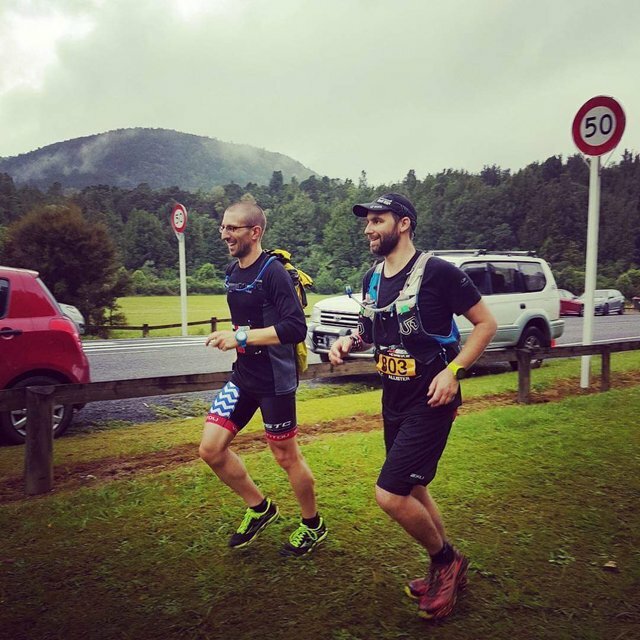 The blog is nicely grasping how usually runners get caught up and follow the crowd and go a bit too fast at the beginning and all the later feelings and tiredness. We liked the pictures too! Also thank you for being such an avid member and contributor of @runningproject! 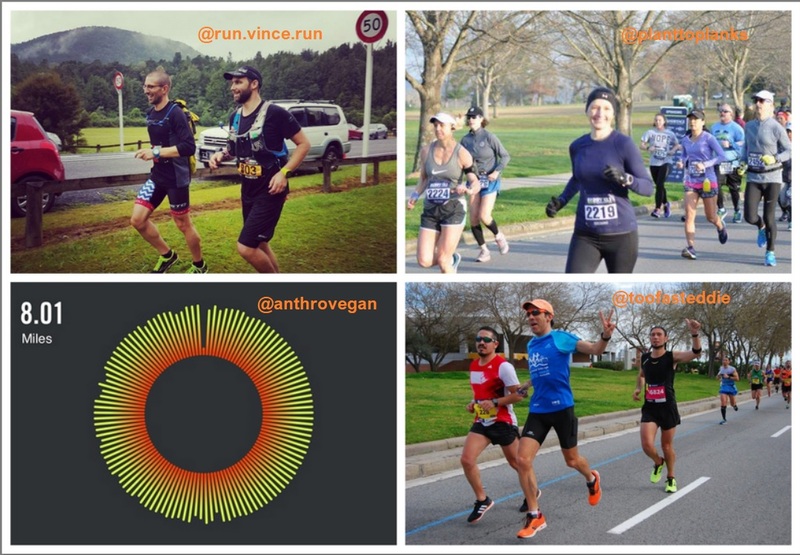 @anthrovegan : ''Running, great for reducing stress but the stress will slow us down"
@anthrovegan is a long-term runner (running for more than 30 years) and what is better than to read about benefits from running from a very experienced runner? In this particular post that we nominate, she is elaborating about how running can help you to reduce stress but there is a catch 22: when you need it the most it is hard(est) to run. Last but not least in our nominated post selection is @toofasteddie. Founder and motor of this excellent project we have here on steemit. This blog in 2 parts is such a wonderful and noble story! It is about camaraderie among runners. Namely, Eddie did not run the race but just "joined" last 12 kilometers of the race to cheer and help and motivate running friends to break the 3-hour barrier. Wow, what a nice story this is and a little poetic in some parts as well! If you like this post, please, give a good upvote first and resteem it if possible in order to increase the number of views. Then, have a view of the nominated runners and selected posts. You can vote until end of Friday, 23th of March and we will announce the winner on Saturday the 24th of March. 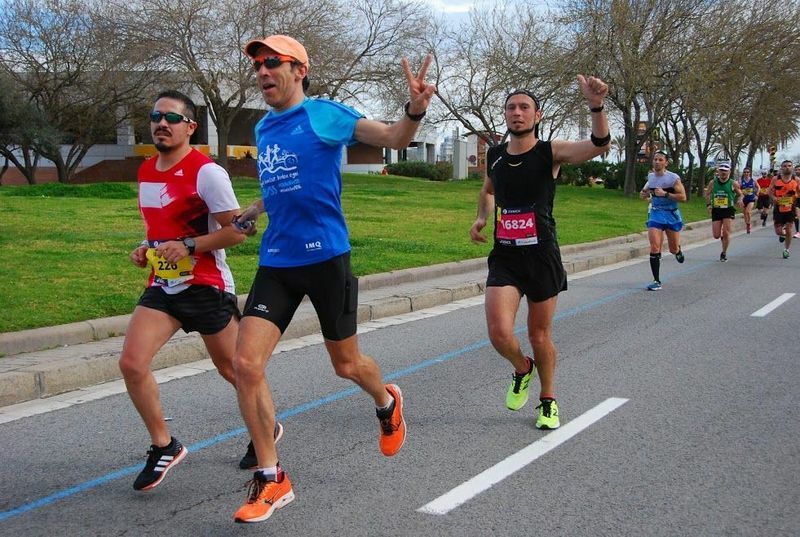 The main milestone of the @runningproject now is to get as much STEEMPOWER as possible so the UPVOTE power will be growing day by day with the entrance of new members as well as because of the reinvestment of all the curation and the majority of the earnings produced on the post published by @runningproject. 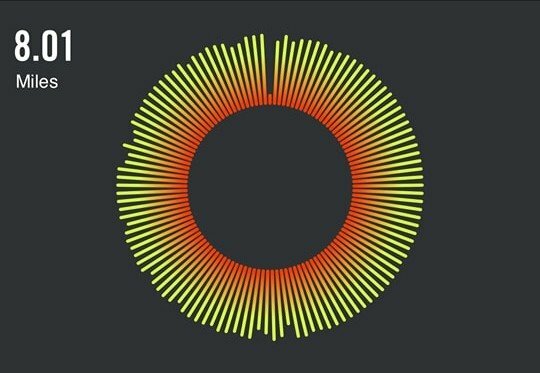 Write a comment in this post or any other from @runningproject with a link to one of your posts about running, requesting its review. After checking your post, @runningproject will decide if you are or are not an "Approved" Runner. "Low quality" post will not be considered. If you are definitely an "Approved" Runner, @runningproject will reply to you asking to send 1SBD or 1STEEM as an "Enrollment Fee." You will be included in the "CURATION LIST"
The initial "Enrollment Fee" is entirely used as STEEM POWER. This fee, 1 SDB/STEEM, may increase in the future depending on the number of members and Market price. Additional donations will be also fully invested in STEEM POWER. For more information about the @runningproject please read ''The Steem Running Project: Introductory Post'' and also ''The Steem Running Project: New Services Available & 6th Status Report''. You are very welcome, @anthrovegan! I'll give a vote for @plantstoplanks , not just because she gave me a vote, but because it's a long time since I have gone out of my way to participate in a road race and reading her post makes me think more about taking part in one again. I'm voting for @anthrovegan post...so much truth to that! It's hard to get past the "I don't wanna" and all the excuses the brain can come up with to not run, which is what will pull a person out of that state of mind. I went through plenty of that last fall when my job and bosses seemed determined to work me to death (or force me to find another job) due to their piss poor management of my dept. But the stress kept me from even job hunting, running, etc. Hence the connection I can definitely make with that post. Tough choice...voting for @toofasteddie . Loved the story, and great to hear him supporting his local running friends. This week I vote for @toofasteddie. I'm throwing in my vote for @anthrovegan as I think it is important to stay in tune with our bodies and be aware of how our emotional state can impact our running at times. Thanks for including me this week @dailyrunner! It is my pleasure to have fellow runners like you @plantstoplanks! Nomination totally deserved! We sure do! It is very motivating and inspirational for me to be part of @runningproject! Thanks @dailyrunner , you are very kind with me. My vote this week goes for @run.vince.run ! You are very welcome, @toofasteddie! There would be none of what we enjoy daily on @runningproject without your initiative, enthusiasm and hard work! My vote is for @toofasteddie!! Good Luck to All!!! My vote isn’t for @run.vince.run. He has worked really hard at this ABC thing, and I’m guessing he’s regretting it! Or at least has at moments. Is!!! Damn autocorrect. That would be funny though. Haha, almost done and was a little worried I would not get through it. Thanks for the vote. All the posts are great - a hard choice again. I'm going to go with @anthrovegan this time.